Koru Psychology respects your right to privacy and data security. We endeavor to help you maintain control over your personal data when you visit our Web site. Why we ask for specific types of personal information. In our Web site, we may ask you to provide information that will enable us to enhance your visit, to assist you with technical support issues or to follow up with you after your visit. For example, we request information from you when you provide feedback in an online survey, participate in promotional offers, request email response to your inquiries, subscribe to a newsletter, request for inclusion in a mailing list or request for product assistance from our representatives. Your participation is completely optional. Koru Psychology only uses your personal information for specific purposes. The information you provide will be kept confidential and used to support your customer relationship with Koru Psychology. We want to help you find information quickly on ramservices.com and alert you to new products, special offers, updated information on products and services from Koru Psychology. 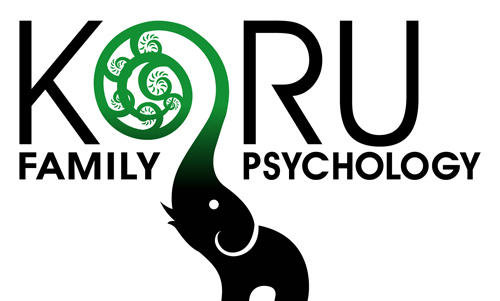 Employees of Koru Psychology, agents or contractors of Koru Psychology who have access to your personal information are required to keep the information confidential and not use it for any purpose other than to perform services required. You can opt-out of further marketing from Koru Psychology. From time to time we may send you information about our various products and services which we feel may be of interest to you. Only Koru Psychology or agents working on behalf of Koru Psychology and under confidentiality agreements will send you these direct mailings. If you do not wish to receive any mailings from us simply inform us when you provide us with your personal information. You can opt-out of receiving further marketing contact from Koru Psychology at any time. Koru Psychology will not disclose your personal information without your consent. Your personal information, order information or product preferences will not be given or sold to any organization not related to Koru Psychology for use in marketing without your consent. Your information may be shared with other business units of Koru Psychology and its related or affiliated companies, agents or contractors to help serve you better. Other Web-sites accessible through korupsychology.ca. We would like to advise you that other web sites that may be accessed through our web site may collect personal information about you. The information practices of these third party sites linked to ramservices.com are not covered by this privacy statement. You are solely responsible for maintaining the secrecy of your passwords or any account information. While we endeavor to protect your personal information, Koru Psychology cannot warrant the security of any information you transmit to us, and you do so at your own risk.